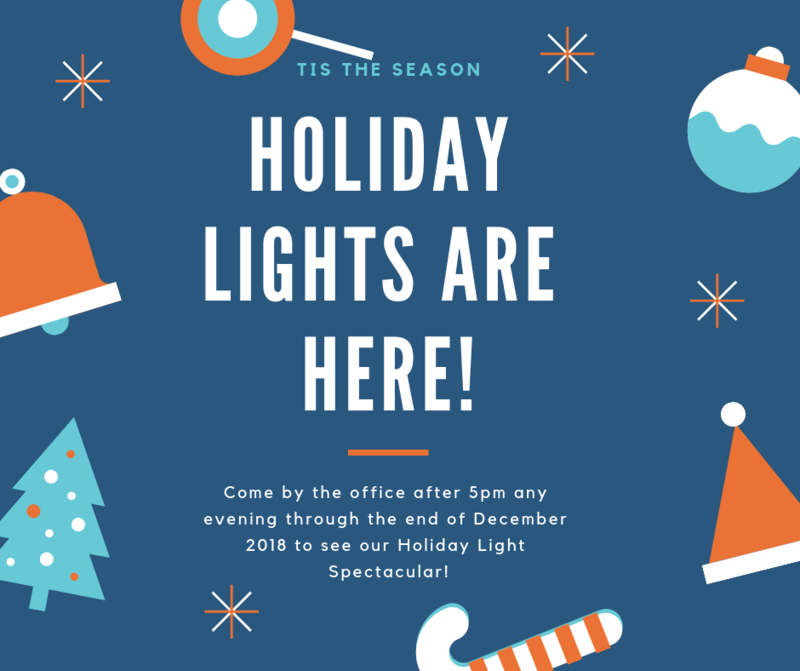 Come by the office any time after 5 p.m. through the end of December 2018 to see our Holiday Light Spectacular! Make sure you tune your radio to 92.1 FM to hear the holiday music! !